Social media is a mixed blessing. Pinterest. 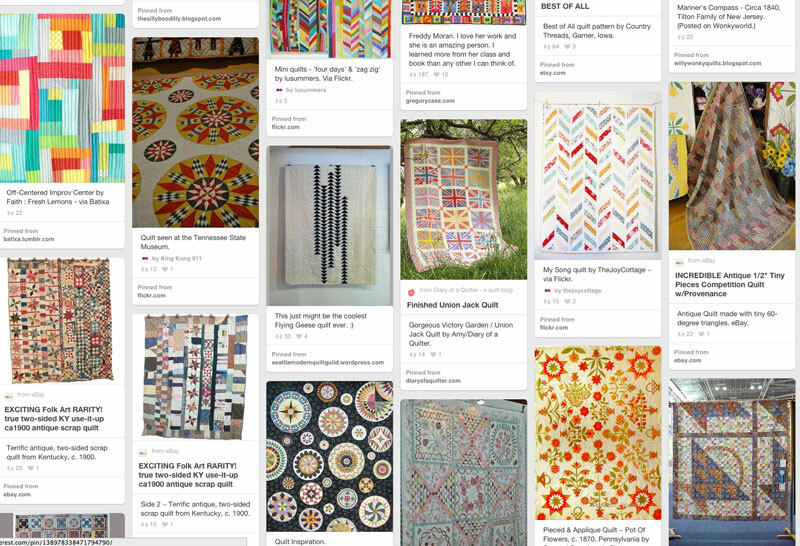 It’s a great source of inspiration – quilts of every sort imaginable, stitchy-stuff of every kind imaginable, recipes, DIY of every sort imaginable, new crafts to try, clothing “looks” to consider, home decor, and the list goes on forever. Which also makes Pinterest a bit of a black hole when it comes to time… it’s very easy to lose track of it. But social media is also a terrific way to get an instant “fix”. Inspiration… shopping… ideas… shopping… whatever makes you happy, the various social media outlets of Instagram, Facebook, Pinterest and “everything I can’t think of right now” make it possible to see all sorts of things you never knew you always wanted to see. My favorite “guilty pleasure” – quilty pleasure? – is Instagram. IG for short. I follow all sorts of people – photographers, restaurants, chefs, foodies – lots of those, a couple dog-related folks and a whole slew of stitchers. (If you’re on IG and you don’t follow @thedogist… I’m not sure we can be friends.) So it’s been a lot of fun that posting pictures on Instagram is actually part of my job – I think it means I can play around on IG and call it “work-related research”. 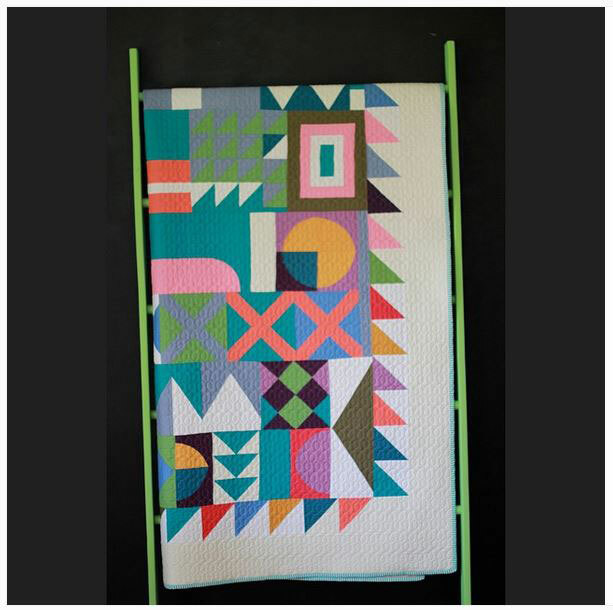 These pictures are from the Instragram feed of Lisa Calle – @vintagemodernquilts. Lisa is the curator/director/moderator of the Moda Bake Shop, a mom and a wonderful quilter with a glorious color-sense – and not an Aussie. But it’s still eye-candy, right? So to finish up this Aussie Week, I wanted to share some of my favorite Instagram feeds from Down Under. Just so you know, this isn’t a thorough or complete list. These are names and feeds that came to mind when I tried to think of those people who always inspire – of those people who you might not have run across yet. By the way, you don’t need to be on Instagram to get a sneak-peek. 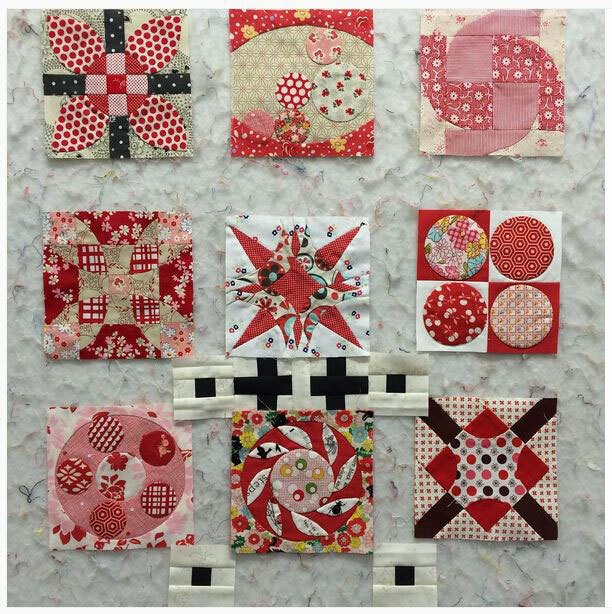 Just click the link and it will take you directly to each amazing quilter’s IG feed. If you’re interested, most also have terrific blogs. Their blog links are often in their Instagram profiles. One more thing – if you’re at all hungry, wait until later to peruse the Instagram accounts of many of these ladies. It’s probably coincidental but one of my favorite things about these Aussie ladies – most of whom I’ve never met – is that they’re foodies! Oh, and they like fussy-cutting for quilting. Siobhan Rogers – @siobhanrogers_beaspoke. Siobhan is an improvisational quilter with a modern style, a terrific photographer and a new author with a wonderful book – By The Block. Jeanette Bruce – @goneaussiequilting. 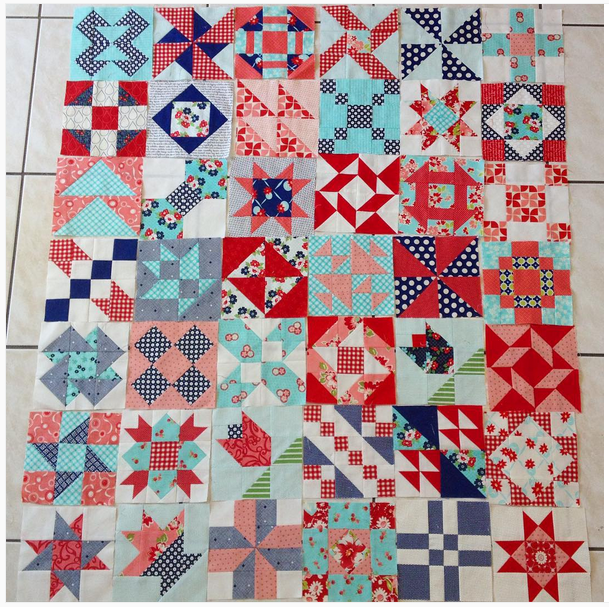 This is Jeanette’s Red Letter Day quilt – she took Camille Roskelley’s class in Australia last year and made this gorgeous quilt. This is another one of Jeanette’s quilts that I really love. It’s a “happy quilt”. Lorena Uriarte – @lorena_in_syd. 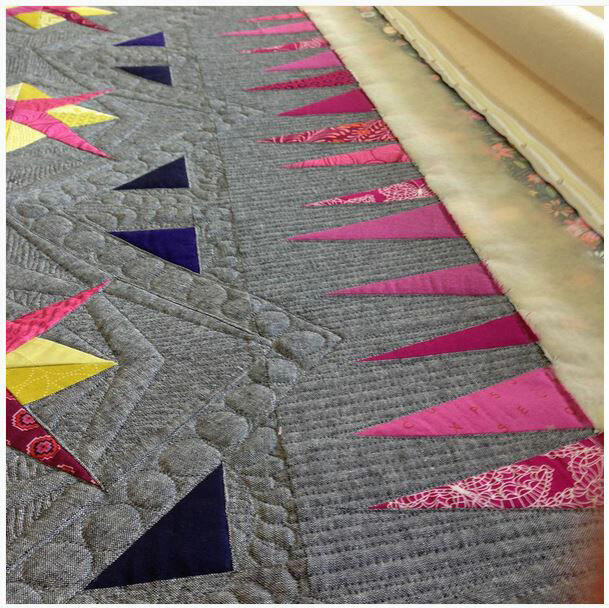 Lorena is the President of the Sydney Modern Quilt Guild, and an accomplished, award-winning quilter skilled in applique and piecing. I love her use of color and the way she mixes pattern. Peta Peace – @shequiltsalot. Really. Peta quilts A LOT. And she stitches, makes bags, embroiders, quilts and many other things – if it can be made with a needle and thread, Peta does it beautifully. Gemma Jackson – @prettybobbins. 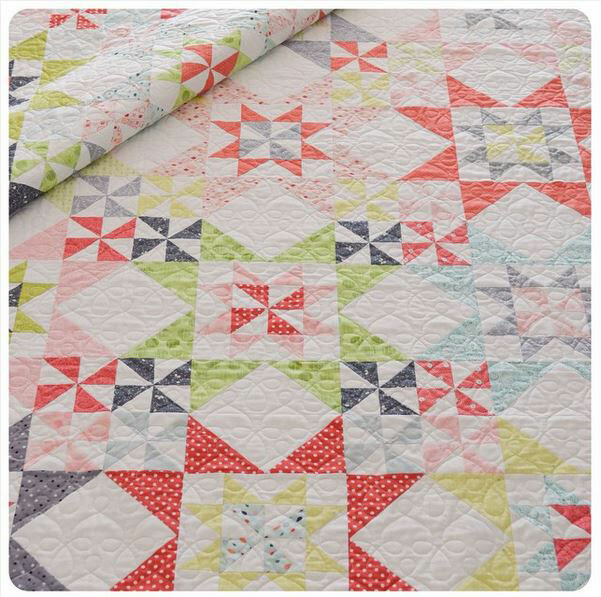 Gemma is an accomplished longarm quilter and just a really neat person. I haven’t met her but I think I could be described as an anonymous-to-her stalker-fan-like-wannabe friend. How can you not like someone who has taught her kids to quilt? She also wrote a blog post several months ago that I really liked about “assuming others have good intent”. Rachel Daisy – @bluemountaindaisy. 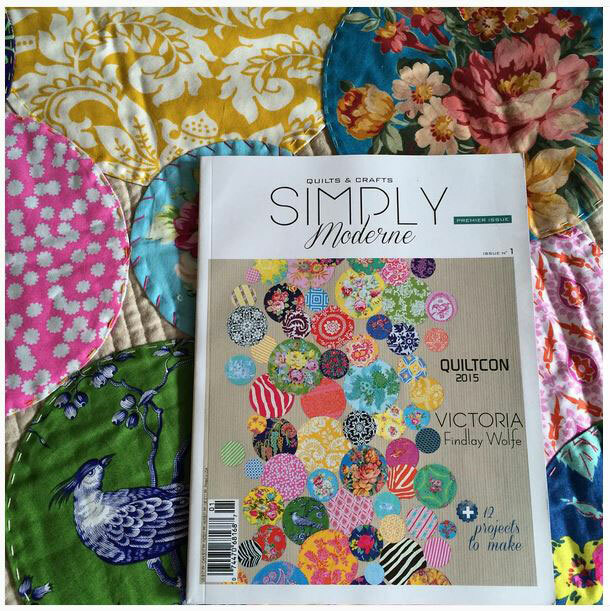 You might remember this magazine from a few weeks ago – the quilt on the cover is Rachel’s. 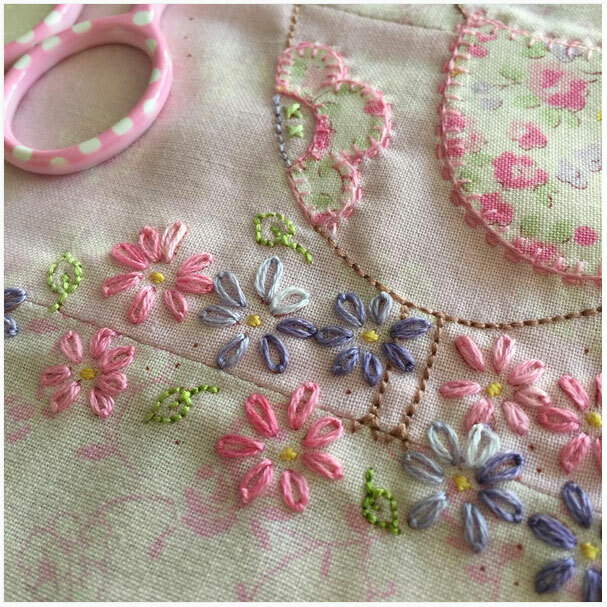 I love this close-up picture that shows some of the fussy-cutting and embellishment. Amira Ameruddin – @amira_littlemushroomcap. Simple Abundance by Bonnie & Camille. Fussy-cutting. Hexies. Edyta Sitar of Laundry Basket Quilts‘ book A Handful of Scraps. What’s not to love about Amira? She does really beautiful work. Catherine Demack – @hellofromcat. Catherine – Cat – is part of Cat and Vee, two friends from Brisbane who create gorgeous, fun artwork. They’re the Aussie ladies behind the “I touched a quilt and I liked it” slogan. Cat has a vibrant, colorful style that’s just fun and invigorating. Fiona Ransley – @fionafeeransley. Applique. Embroidery. 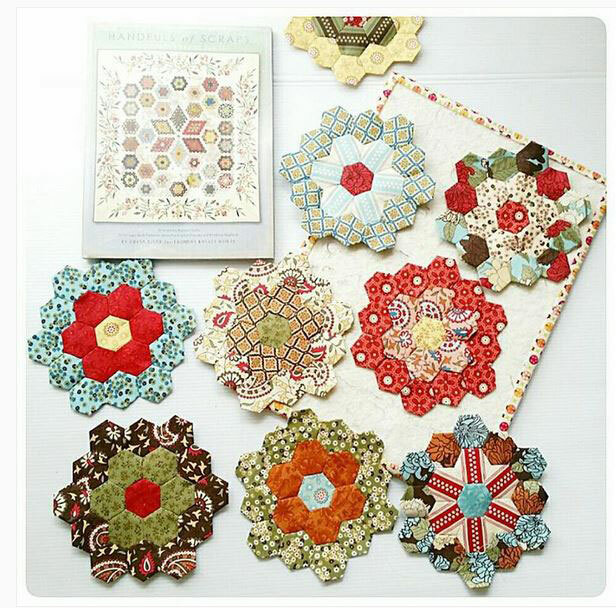 English Paper Piecing. And it’s all beautiful. Corinna Burrows – @corinna_maycreations. Corinna is a prolific quilter with a good heart. 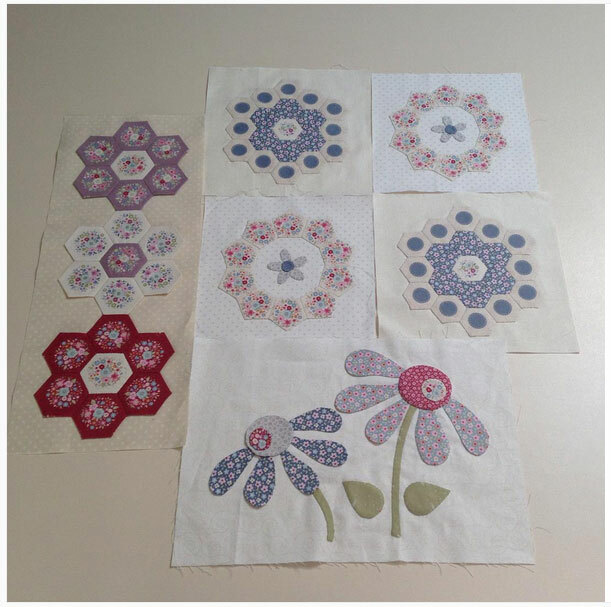 In addition to making lots of yummy little blocks for an amazing sampler quilt with Bonnie & Camille fabrics, she’s recently done a lot of sewing of little sewing needfuls for charity purposes. I. Love. These. I love them so much I bought the pattern and… well, I have good intentions. 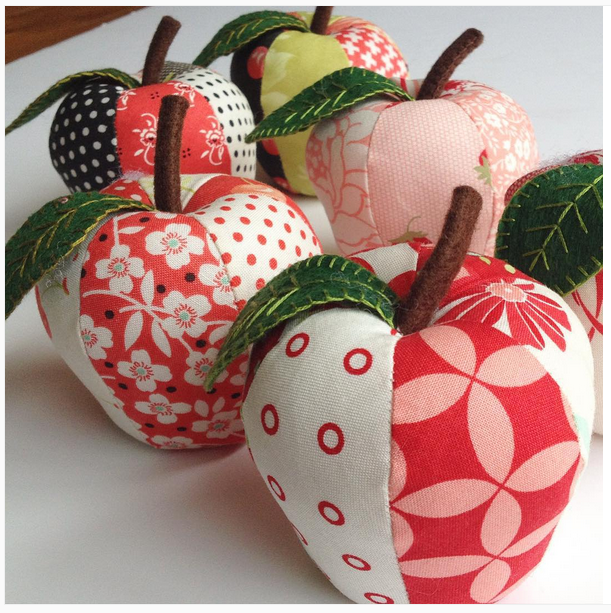 I’ve read the pattern and I will make some of these apples – and the pears – eventually. Retro-Mama – Kim Kruzich. Jennifer Reynolds – @jennyofelefantz. Gorgeous embroidery. But you knew that, right? Samantha Dorn – @aqua_paisley. Samantha is another very prolific quilter who stitches a little bit of everything – quilts, minis, bags, and a little bit of everything else. Like many of the others I’ve named, she’s also a terrific photographer who just has a pretty Instagram feed. As I wrote before, this list isn’t complete or comprehensive. There are others that I’m sure I’ll remember tomorrow or this weekend. 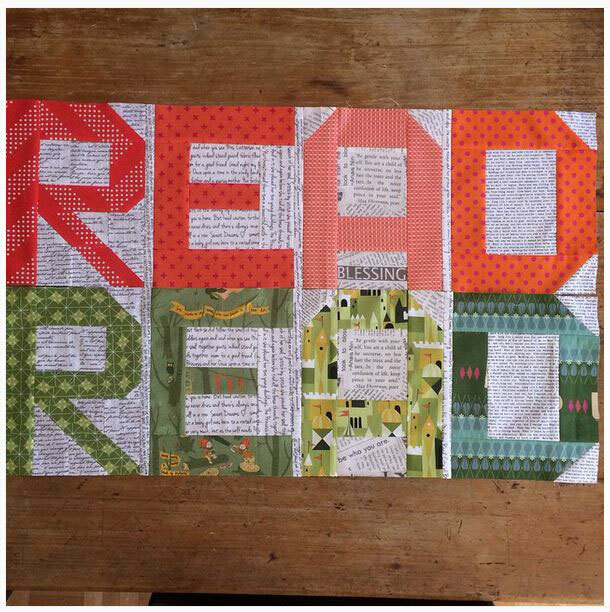 There are many very well-known quilters whose work I love who I haven’t named because we’ve already mentioned them this week – Jane Davidson (@quiltjane) and Jen Kingwell (@jenkingwell) – to name two. And there are a few who I simply forgot about when making my list. Let it suffice to say that there are a lot of talented, inspirationally awesome – and awesomely inspirational – quilters in Australia and the ladies mentioned here are just the tip of the Apostles or Ayers Rock. Please feel free to include the IG names of anyone you think I – we – should be following. Thank you for introducing us to some very inspirational quilters. I just love Instagram! It provides so much inspiration for me. Thanks for sharing all those great Aussie folks, some I was following others I have added. Your the best! I enjoy your blog so much! I too have been inspired by the Aussie quilters. An IG feed you have to check out is @lilabellelane. She is super talented and so amazingly productive that I have sometimes wondered if she ever sleeps. 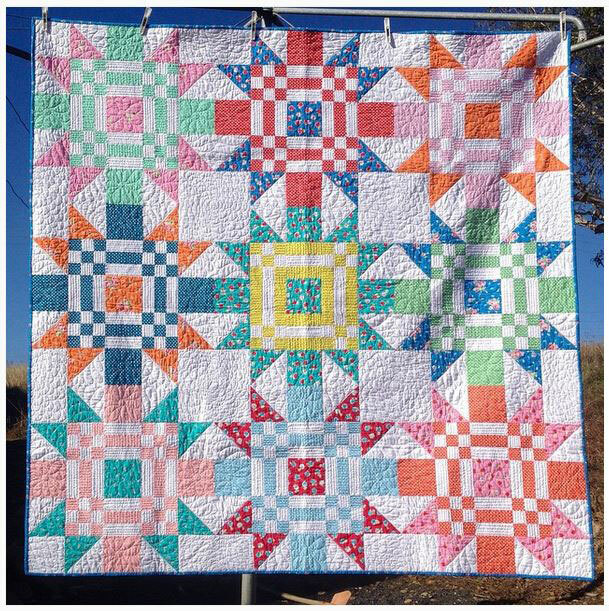 She does a lot of Sue Daley EPP, has almost finished a Tula Pink passacaglia quilt, has a passion for Bonnie and Camille fabrics (including a jelly roll tower of every line produced so far), plus is a mom. Lots of inspiring Aussies to follow I agree- Karen @piecesofcontentment is great! Jess @theelvengarden is another inspiring quilter who lives in Tasmania- that little island in the southern ocean! 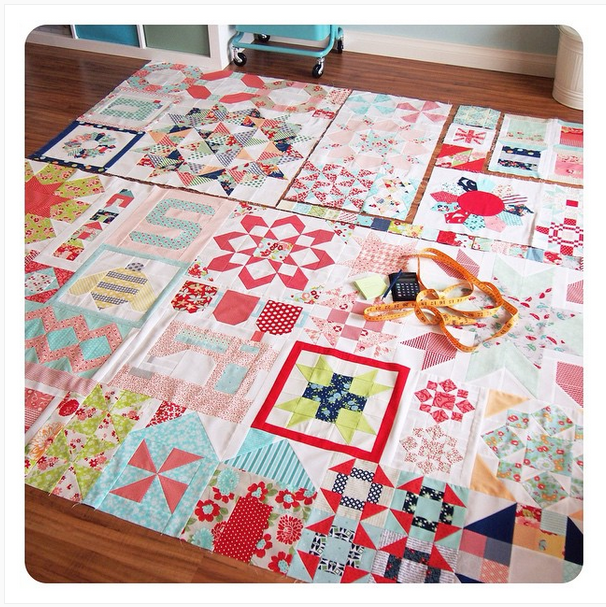 And Carla @grannymaudsgirl is another blogger and quilter I’ve had the pleasure of meeting! There’s also Angie gnome, not sure of her IG name. As an American married to an Aussie, I enjoyed this week a lot. I think Jen Kingwell said it well in your last post, that it’s hard to discern the differences between usa and Australian quilters. I would say everything is more expensive. Food, fuel, fabric… I’ve been following Gemma and Peta For a while now. Thank you for the fun week. 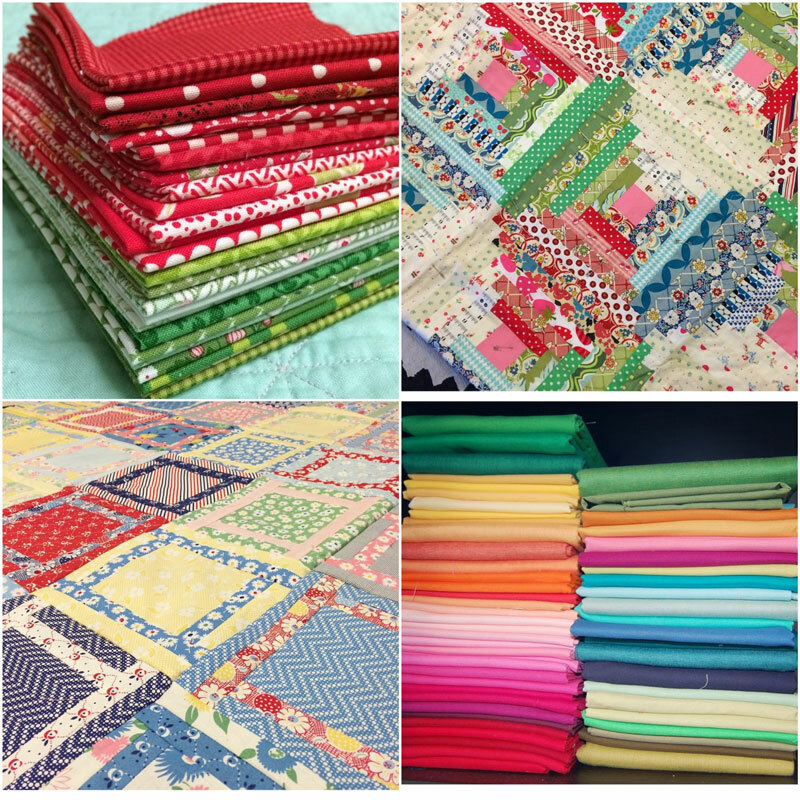 Thanks Carrie for including me with such an awesome list of quilters. It sure made my day! XO. 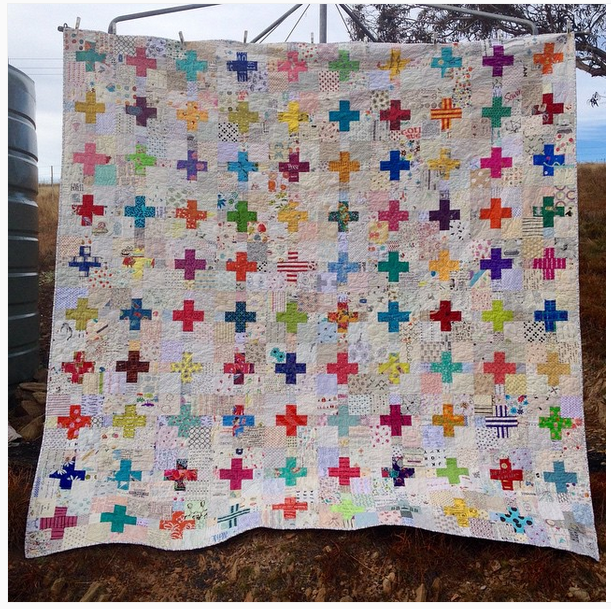 I’m honoured to be included me in your wonderful round up of Aussie quilters, thank you!! I’m just new to using instagram so I’m extra pleased you found me. I “found” your blog when we wrote about Simply Moderne a few weeks back but didn’t realize you were on Instagram until Jane Davidson mentioned it. I’m so happy she did! Drool, drool, drool…..wiping chin. Drooling some more! My, oh my, those quilts, apples, embroidery, et al ARE INCREDIBLE. Love the use of colour, and the beautiful, precise work. The colours in all the pieces are very “Bonnie & Camille”…(coincidence, or this year’s Aussie trend? ), in their mix of new greens, turquoise, reds and pinks….with splashes of orange for variety. Love the look and feeling very inspired. I must get myself in gear and get on IM, it’s taken over social media in terms of photography and interesting posts…but confess, I am not there yet. And I’m not sure why. Thanks for a fantastic post…very interesting (as always)…. Done and thank you! We – and soon “me” – follow you now too. We already followed @spoonfulofsugar, but thank you for the suggestion of @spanzy. I thought we were following her but now we are. I think it’s definite, we’re going to need an Insta-inpiration 2 post somewhere in the future. There is so much wonderful work being shown! thanks again Carrie for including me. I noticed the link to my instagram page doesn’t work? Its not highlighted like the others and doesn’t work when I click on it?